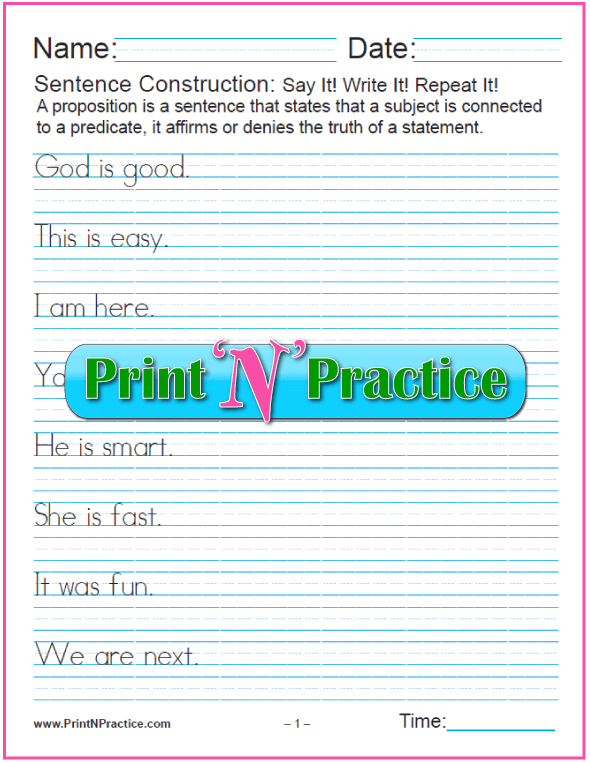 Our printable Fourth Grade worksheets offer practice. So often this is the very year that strugglers begin to succeed and the naturally bright children need to start working harder. Increasingly, elementary school curriculum include so many odd ideas or practices that children need a plain ordinary source for learning the basics. Rote memory work should be concise and done quickly, so when your student needs a refresher on multiplication go to the multiplication worksheets page and choose one of the higher level worksheets toward the bottom of the page. Fourth Grade is also a year in which children begin to pay attention to Grammar. Download our Grammar Definitions ebook to keep the definitions handy throughout the year. It also includes an excellent chart of where the Grammar terms fit on the diagramming charts. If you are teaching Grammar, you will really appreciate this download and all of the easy English Grammar worksheets, charts, and definitions on this site. This is a year that many school systems change the size of the rule on the writing paper. 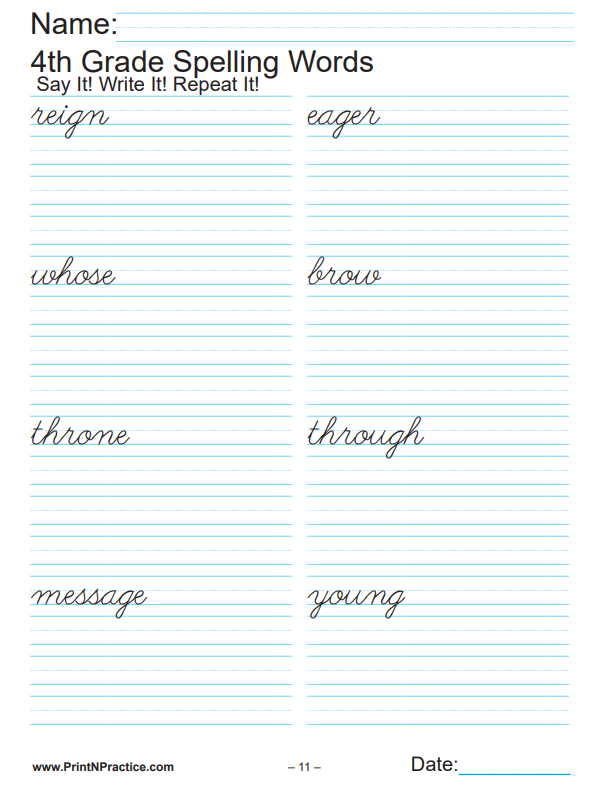 If you need a particular sized rule of paper, see our printable writing paper page for many lined and unlined pages for Spelling lists and stationery as well as our printable graph paper in many colors and sizes. 4th Grade Math worksheets are an extra help with the basic Math facts like multiplication, division and fractions. Introduce the times tables and the concept of putting amounts together by sets to form products. Show them that division, fractions, and decimals are all the same thing. Show them without the big names like "inverse operations" and then go over the definitions of such terms once they see that these operations are related. Many children still benefit by reviewing the math operations as reminders or refreshers especially at the beginning of the year. By fourth grade most students want to be handy with their Math facts and practice worksheets can help that facility. These fourth grade worksheets teach Reading skills, not quiz or test them. They are basically either Phonics or Vocabulary related. At this age the skills of most children level throughout the class. The slower children had to work harder in the early years and some can now excel because they know how to work. The faster students are slowing down as they meet information that really must be decoded or assimilated step by step. More words have prefixes and suffixes in the fourth grade levels of reading and knowing these will expand reading success throughout the future. 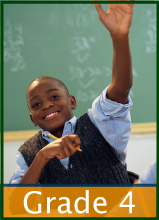 If you are tutoring or homeschooling, you've got the grace to work one-on-one . Reading should be quite fluent by now with students needing only to increase their vocabulary and their world view for better comprehension of what they read. One of the items that I have noticed in what is termed 4th Grade Reading is that way many more pronouns are used in the text. If you teach your students the habit of following who or what are being referred to by the pronouns, their reading comprehension will improve much more easily. Prepositional phrases make sentences longer so graduated series use more of these at this level. Our list of prepositions and preposition worksheets can be a giant help here. Many times children are distracted by so many other easy ways to gather information that the nitty-gritty involved in reading is distasteful. Movies, Internet, and games teach and challenge in a passive way so that it is often hard to focus on the effort necessary for reading comprehension. Sitting with a book for a required time might work for some, but for those who are really tuned out, a good dose of copy work is often a real boost. Have your student copy his work and say the sounds out loud to improve reading and writing skills. Writing the material, or copying it, ensures that your student has reviewed it and can then read it better. Even read it with him or to him first. When he stalls on a phrase have him read it over a time or two. The more a student reviews a passage, the more he can comprehend its meaning if he has the time and resources for it. Reading comprehension can be improved by having the children read more. Even reading lower levels just for fun can help improve skills and comprehension. 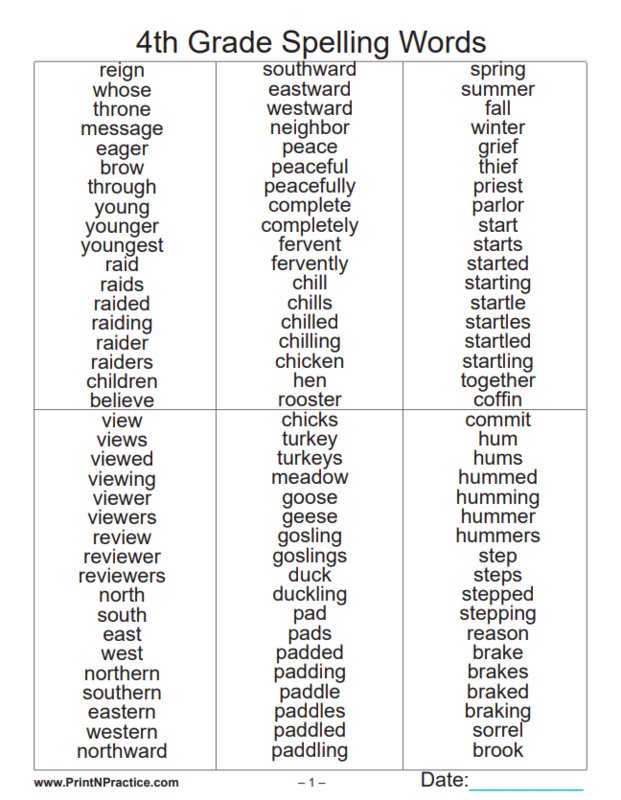 Use the Scope and Sequence in the Writing Road To Reading to find which level to use in your particular classroom setting and rejoice at the book list it offers for the different grades. This is a super helpful list. The Phonics Road is Barbara Beers' fantastic set of video instructions to "teach the teacher" how to teach Phonics, Spelling, Writing, Grammar, and Reading all in one kit. Older students do well with this as independent study, too. You would also like Wanda Sanseri's Spell To Write and Read, Julia Fogassy's Sound Beginnings, and most anything by Andrew Pudewa at his Institute for Excellence in Writing. The first download has 138 pages beginning with a 10 page reference chart. The second download has the 10 pages for you to keep separately. The third download has 9 pages of homonym worksheets for vocabulary. I have seen Spelling programs that simply add on prefixes and suffixes to the same word list as the words that were used in previous grades! 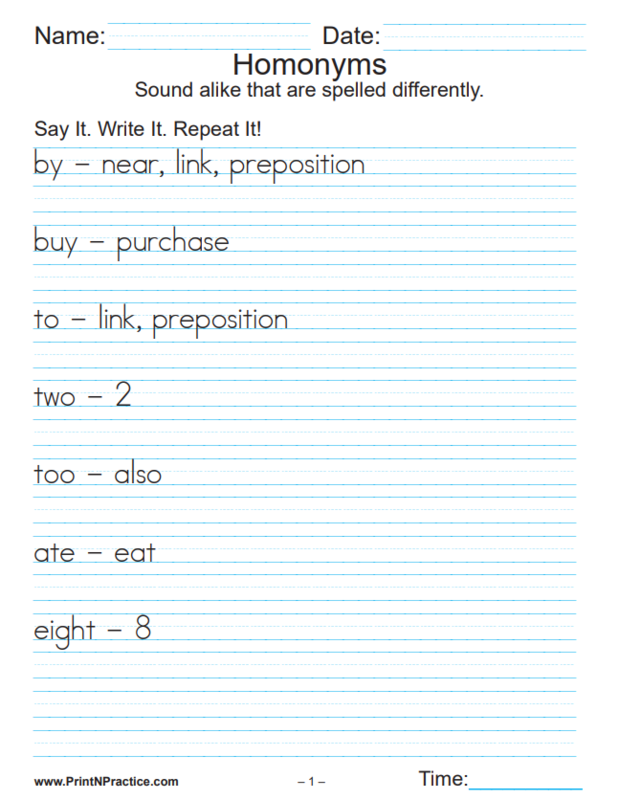 The times that our list uses the same word with suffixes, we show them all together with the spellings for the several related words so that your students see that words like offer, offers, offered, offering are related, etc. This way your students truly learn new words each year. Practice with Spelling words is so necessary for faster recognition of words - kind of a virtuous circle. Our fourth grade worksheets help make the copying accurate. Kids have the right spelling right on the worksheet. The better your students can spell and understand the meanings of words, the better they can comprehend what they read. The more often they read grade level (or higher) reading material, the better they will understand their vocabulary. This in turn helps both reading and writing. These worksheets are printed in cursive writing for your students to copy three times each, unless there are related words. In this case there is only one line for copying, but the words are so related that your students will see the relation and how to add the prefixes or suffixes. The following downloads have five pages of Writing worksheets. These are all simple sentences. The first download is in manuscript and the second is in cursive writing. See the links below for many more Grammar worksheets, especially more complex sentences and sentence diagramming. 4th Grade Writing worksheets should begin to teach grammatical structure. Once your student is handy with the mechanics of writing words and sentences of their own it is good to begin to teach English Grammar and how it structures our sentences. English Grammar definitions define the words that we use in studying sentence structure. Begin by teaching simple sentences and then move to teaching compound, complex and compound complex sentences. As you teach any creative writing lessons or require essays, be sure to use the terms that we use in English Grammar. If a sentence is incomplete, name why using the correct grammatical terms. If every sentence has a subject (understood) and a verb there must be a doer and an action or an existent that is being. If one or the other are missing the sentence is incomplete. Building from simple through compound complex sentences can take the course of a year, but it can also be covered within one year for most students. Truly, Grammar can be learned in one year. Think of it, the Harvey Grammar was a tiny book that is now reprinted for easy use! Another good book to teach Grammar and Writing is the Writing Road To Reading, it has the Writing concepts mixed with the Grammar and has excellent appendices. This book combines the language arts into one cohesive teaching effort. One of the appendices is a scope and sequence that shows grade levels for the different aspects of writing. You can find a free Grammar Definitions Ebook here.